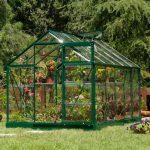 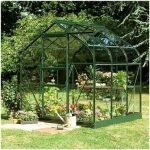 This is a good smaller size greenhouse ideal for the gardener who is getting going. 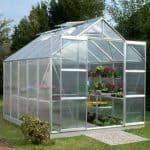 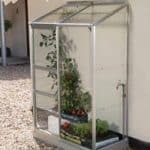 It is made out of extruded resin and has hybrid glazing with polycarbonate on the side walls and TwinWall polycarbonate roof glazing which protects plants well. 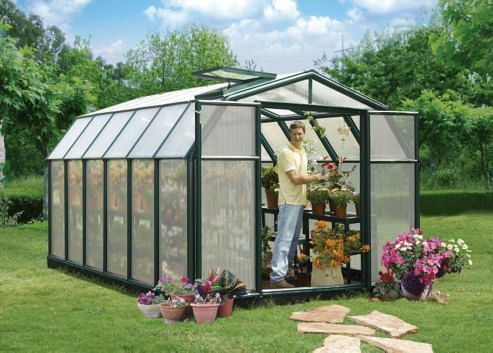 You will spend hours inside cultivating plants, seedlings and vegetables. 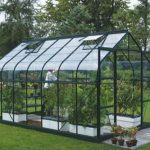 There is plenty of excellent ventilation and protection from the ailments too. 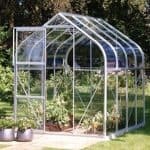 This comes with a 7 year warranty and is home delivered.